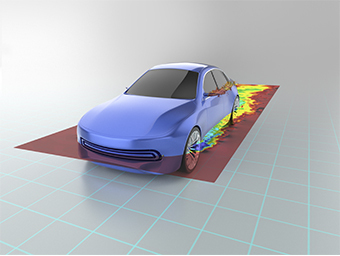 ultraFluidX™ is a simulation tool for ultra-fast prediction of the aerodynamic properties of passenger and heavy-duty vehicles as well as for the evaluation of building and environmental aerodynamics. How do you push the limits of innovation? Its cutting-edge technology is optimized for GPUs to deliver unbeatable performance and to allow for overnight simulations of complex cases on a single server. Thanks to seamless integration into the Altair Virtual Wind Tunnel, setting up an external aerodynamics simulation becomes trivial. 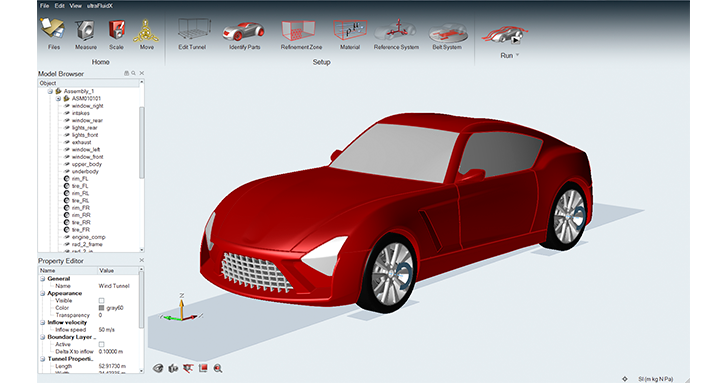 Templates can be derived quickly for different vehicle classes, making the workflow less prone to errors. Profit from the “Drag and Drop” nature of this Lattice Boltzmann implementation. Low surface mesh requirements, support for intersecting and penetrating parts, together with a fully automated volume mesh generation in the solver, make part replacements easier than in the wind tunnel. Evaluating hundreds of configurations to satisfy legal regulations becomes feasible. The Lattice Boltzmann Method is a perfect fit for massively parallel architectures like GPUs, and sets the stage for unprecedented turnaround times. 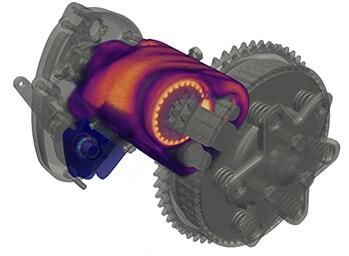 Overnight runs on single servers become possible by utilizing state-of-the-art GPU optimized algorithms, while delivering the fidelity of a transient LES aerodynamics simulation. 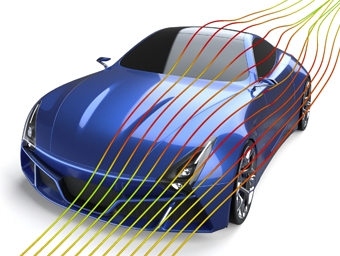 Bluff body aerodynamics, and especially vehicle aerodynamics, are highly unsteady by nature. With ultraFluidX well-resolved transient LES simulations become affordable. No need to press transient physics in a steady-state corset anymore. 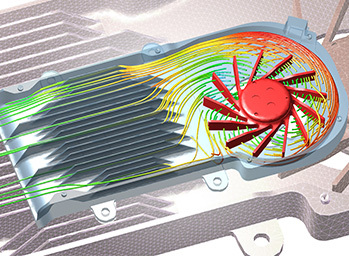 Conventional simulation approaches need thousands of CPU cores to achieve the turnaround times of ultraFluidX. 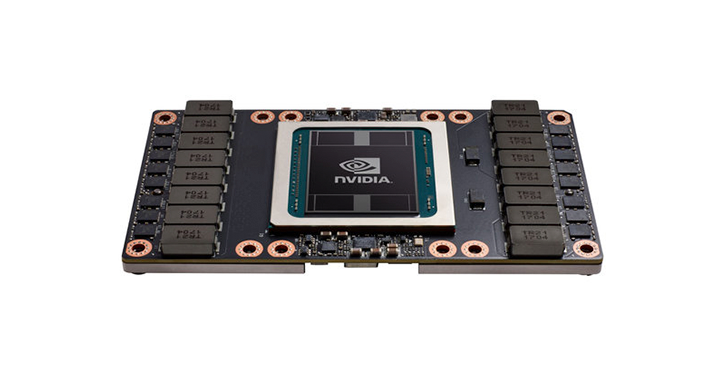 Our GPU based solution increases throughput while reducing hardware and energy cost. 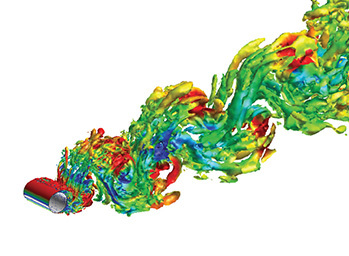 Determine aerodynamic forces and moments (e.g., drag, lift, roll, pitch, yaw) and investigate transient three-dimensional flow structures to understand the fluid dynamics of your vehicle. 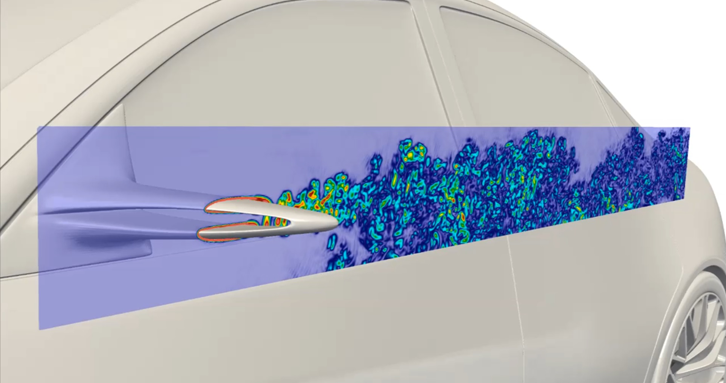 Potential targets of the CFD analysis include the minimization of aerodynamic drag to reduce fuel consumption as well as the balance of front and rear lift and the investigation of the crosswind behavior to improve driving stability. Analyze buildings and whole cities in a large-scale numerical wind tunnel. Apart from the calculation of wind loads on the buildings itself, potential applications include the simulation of pollutant propagation and pedestrian comfort due to the local wind conditions around the buildings. Use ultraFluidX for your own, individual use cases. Examine the transient flow field of different designs, e.g., compare the aerodynamic performance of different wind turbine blades. Analyze the impact on fabrication tolerances and local design changes on the aerodynamic performance, e.g., assess the impact of local small-scale geometry changes on the flight trajectories of a soccer ball.